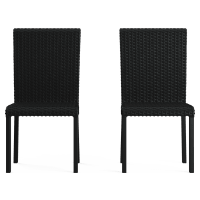 Complete the look by styling your wicker outdoor chairs with a matching outdoor table, such as a wicker coffee or dining table. Outdoor entertaining has never been easier with this striking collection of pieces. We even deliver Australia wide for ultimate convenience.